From security point of view, it is not recommend deploy single sign-on authentication. A single user ID with single password manage multiple system increase the risk in proportion . Perhaps this factor ignore by modern business world. And therefore SAML single sign on is popular today. 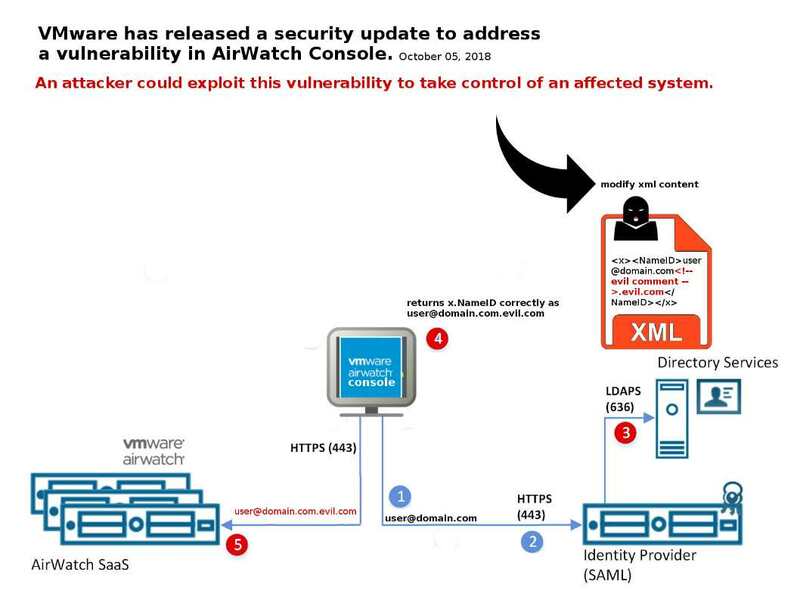 VMware has released a security update to address a vulnerability in AirWatch Console. An attacker could exploit this vulnerability to take control of an affected system. Below URL provided by vendor in order to resolve SAML authentication bypass vulnerability in VMware Workspace ONE Unified Endpoint Management Console (AirWatch Console).